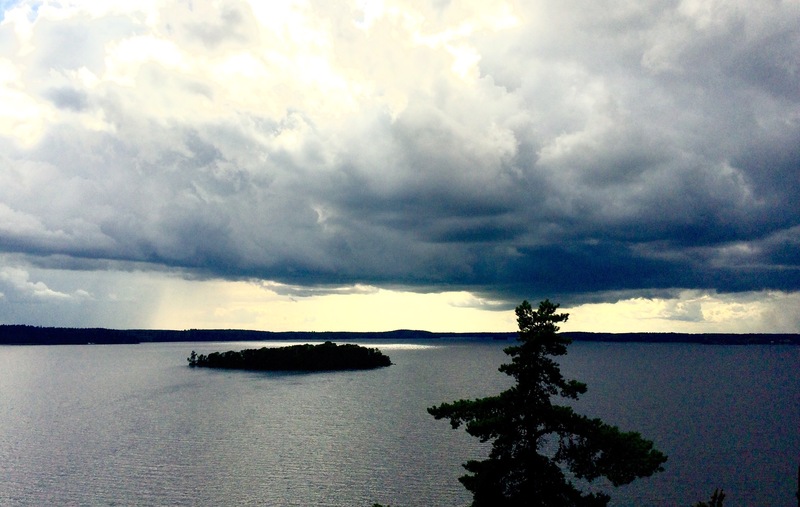 The weather is like you may have understand it, rainy in Sweden this summer. At least where I am! But tonight, I decided to provoce my faith and to take a walk in the woods in a protected area that is located between where we live and my job. I drive by every day, so it was high time for a stop! It began with a miss. I missed the exit and had to make a u turn in order to find the right parking place. The sun was shining since lunch time and it helped me to keep smiling. 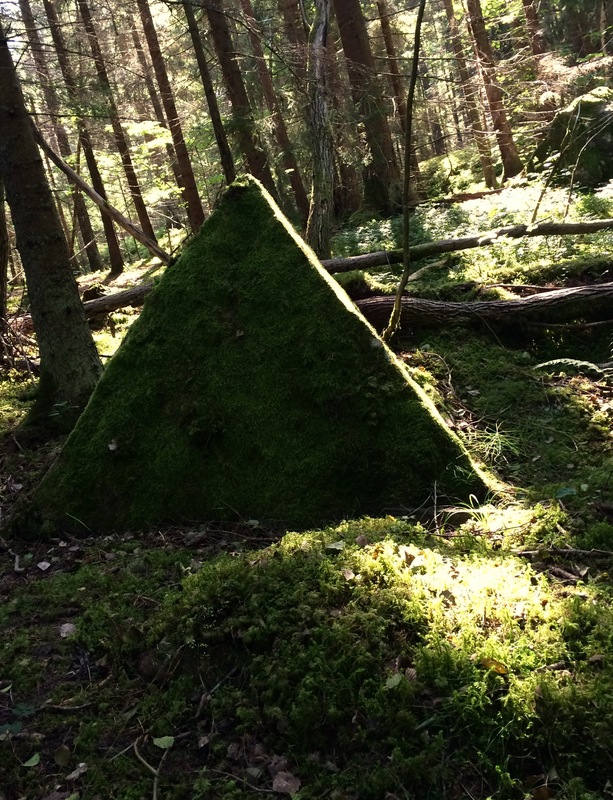 When I arrived in the woods, I saw a stone pyramid. Almost scary so perfect the shape of this stone is! 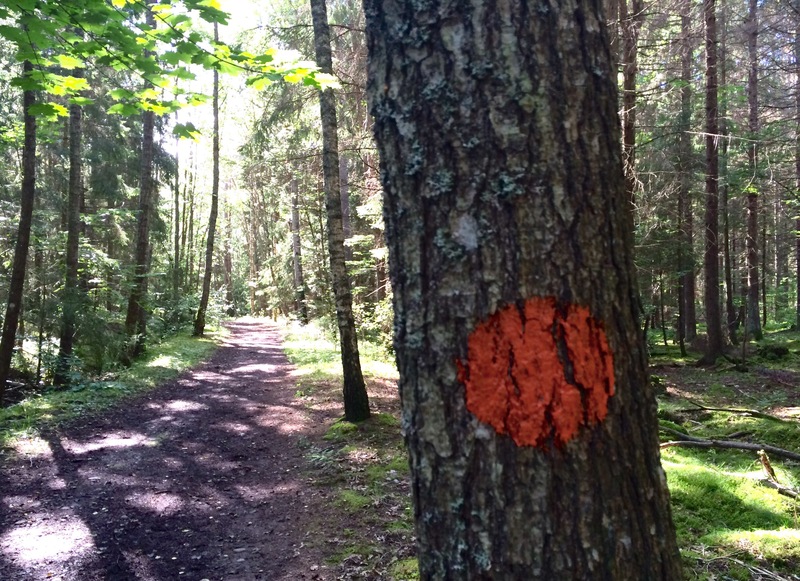 I did not want to get lost so I followed very carefully the red marks on the trees. 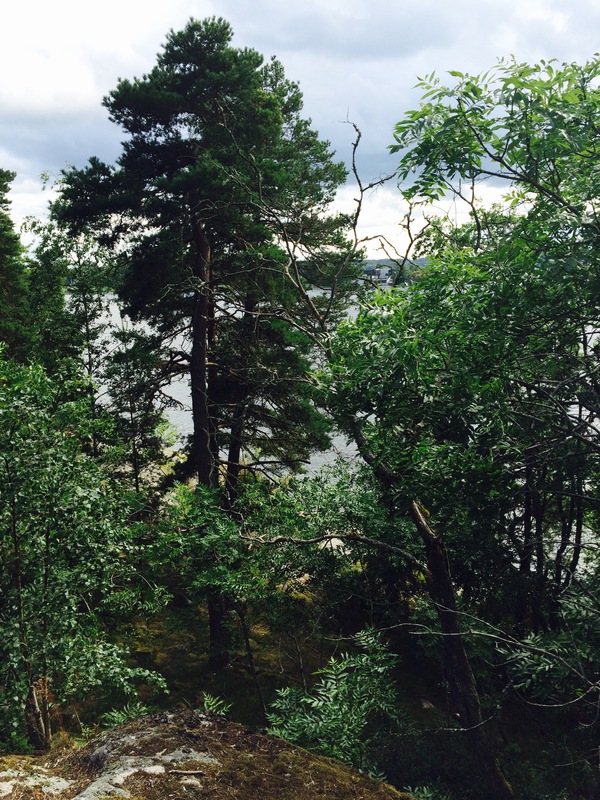 They promised an awesome view on the lake Mälaren so the motivation was on top! 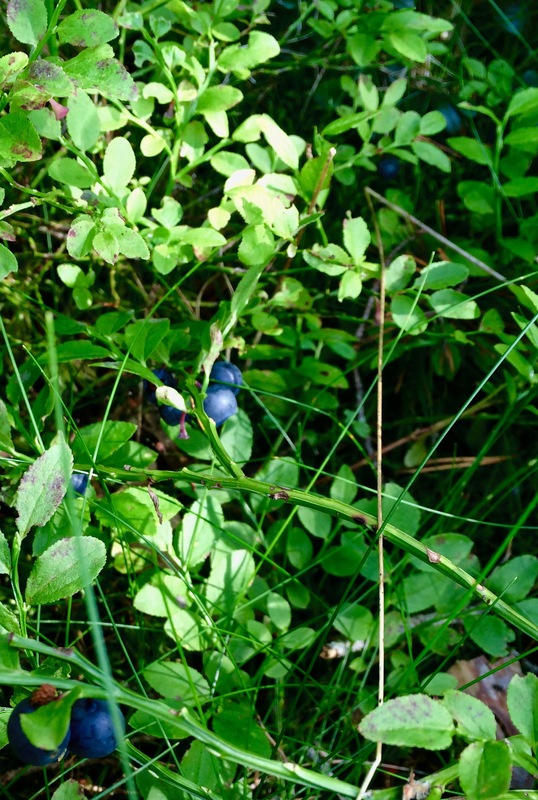 The wood was full of these berries, blueberries is their name! They tasted a little sour still, not really ready yet. Two things. Well three actually. 1) awesome view, finally! 2) this tree should be cut… 3) these clouds were walking right to me! I took the picture and then walked quick, hoping for a dry walk to the car. I saw the first drops when I just sat in the car and had close the door. And then: sky fall. So as usual, I am sitting inside, with a fire in the fireplace and feel that if the weather is like that the two coming weeks, I will feel mentally very bad. I need some sun for my soul!